Have a good one. But also remember -- and tell your kids -- why it's called Memorial Day. Thank you to all the blog vets and to your brothers and sisters-in arms. My sympathy and thanks go out to everyone who has lost a loved one in the line of duty. I am also forever grateful. 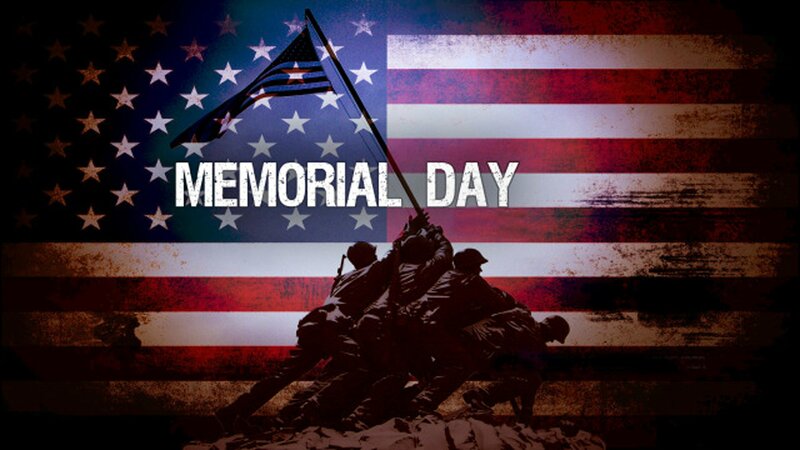 Thank you for your sacrifices and blessings to all. Thank you to all who have served and to all who love and support them. Both my mom and dad proudly served...thinking of them, and of all the vets and their families on this day. I have lost relatives and many good friends who gave their lives for what we believe in. I humbly and proudly salute all who served. Many thanks to all of those that have served. I haven't heard the term Decoration Day in a long time. My Grandparents called it that. My Dad didn't die during the war but had health issues from the war that took him at the age of 59. War changes people in many ways. Happy Holidays. Sorry in advance for this dose of sad horror. My Dad was a pilot for the Luftwaffe during WW2. He joined as a pilot because of an interest in and experience with aviation, his alternative being the certainty of being drafted as any infantryman. What he didn't know was that he was half-Jewish, as his father had done his best to conceal his Jewish origins, even to the point that his own children didn't know. In late1943, it came to light (it's own hideous story how) that his father was a Jew, and after an investigation by the Gestapo, my father was pulled from the Luftwaffe and placed under local house arrest, while his father got shipped to Auschwitz. My grandfather was enslaved at a nearby coal mine, and essentially worked to death. The Russian Army had liberated the camp in January 1945, but he died a month after that; he was evidently too sick to be forcibly marched away by the Nazis when they evacuated the camp and most of its inmates as the Russians approached. As fhe war ended, my Dad was still alive. He emigrated to the USA in 1947, and brought my Mom over from Germany in 1950. Since he died when I was eight I never got to know from him what his wartime and post-war life was like, but I later learned that he chose the USA to emigrate to because of a profound gratitude for its values and freedoms, and a deep fear that any other place could quickly give rise to further horrors like those he had seen in his native land. So, while he was a war veteran on the wrong side of that war, he came to know directly the meaning behind the sacrifice made by all US soldiers, dead and living, that we honor on Memorial Day. As always, required reading: Just a Common Soldier by A. Lawrence Vaincourt. Thanks to all the vets. Thanks, Vets! We're all here today because of what you did for this country. No matter if it was 70 years ago, or yesterday, we all owe you more than we can ever repay. One more: Linus Van Pelt recites "In Flanders Fields" from the movie What Have We Learned, Charlie Brown? Great story Meanie. My father fought in France and Germany in Patton's army. Here is a good story.